SO, WHAT'S IT LIKE NOT TO RECEIVE THE CALL? and OUR LIBRARIAN WON'T TELL US ANYTHING! Being like the beautiful and talented Lana Turner, who was sitting at the counter of Schwab's drugstore soda fountain on Sunset Boulevard when she was discovered, only unlike Lana Turner you don't get discovered and you reach the bottom of that soda and you sip at it until it makes that horrible sound through the straw and there's nothing left but the phlegmmy foam and there really is just no choice but to order another damn soda. But, no biggie. They say, that which does not kill us makes us stronger, or at least prepares us for the inevitable, so win-win! Personally, I can understand why The Today Show, which hosts the winners the morning after, does not want me on their program! I would have wasted all that valuable air time inquiring why women journalists on morning news programs seem to have such an awfully hard time pronouncing the letter "g" at the end of words! ("We're see-een a lot of fighteen in Iraq," "This team seems to be winneen," "What are you goeen to do, with all these mortgage rates rye-seen?") So please! I'm no whiner! There is a master plan at work! I'm not complaineen! Nothing like a good ol'-fashioned chance for spiritual growth! How fortifyeen and invigorateen! How stimulateen! 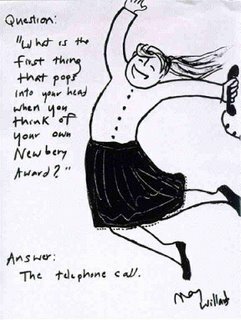 If I may put my unfortunate Gen-X seizure aside and be sincere for a moment, my favorite part of Newbery and Caldecott season is a side effect that happens prior to announcement day: the mock awards. This is the aspect that, to my mind, actually accomplishes what librarians, booksellers, bloggers and booklovers set out to do: get people reading and discussing books, celebrating the inroads, risk-taking and general delights of the year. Mostly held through public libraries, any potentially enthusiastic reader is a qualified judge, which is more authentic to what writers envision when they consider their audience. Children are often included in mock committees, which offers up the amazing facet of the intended audience directly participating. I love the mock lists, which are longer than the final lists of ALA winners, and offer a broader range for varying tastes; again, more authentic to the actual experience of choosing a book. I love the discussions, which, thanks to the internet, are increasingly inviting, inclusive and informative. The actual ALA awards, to an outside observer, can seem mysterious, clandestine and mathematical. As one who shed actual bitter tears when Jeanne DuPrau's CITY OF EMBER did not even receive a nod in its year, I was left to wonder, did it really even get its due behind those closed doors? Was the real, long-standing market for these award winners, the classroom, deeply considered? Who slept with whom, or could more whom-sleeping have somehow helped? There's no real way of knowing. With the mock awards, not only can we be certain if our favorites are being read, we can lobby. I often wish at least one of the ALA honors would go to the collective winner of the mock awards, not only for the self-serving reason of having a snowball's chance in, uh, Texas, but also because then the award would in some small part represent participation by the library patron as well as the librarian. Luckily, in the case of CITY OF EMBER, the book still found its audience. But the announcement of the awards is indeed, for many quiet and wonderful and underpublicized books, so poignant. Though any published author is very fortunate and with many blessings to count, I still imagine disappointment. With the announcement of the awards to the deserving few, I mourned for the deserving many who got buzz only to be stung. Thinking of the good-natured and talented spirits behind A DROWNED MAIDEN'S HAIR, of YELLOW STAR, of THE KING OF ATTOLIA, with so many rallying cries for their acknowledgement, how could we not have hoped against hope for the big stickers? There are simply not enough to go around. I don't know exactly what I think of an award that can reduce a perfectly strong and talented modern person (certainly not me, but perhaps others, mind you), to some sad Sandra Dee, sitting by the phone (or doing something else so it doesn't seem like sitting by the phone). It's enough to make a person go into some nice, award-free occupation, like painting. Or waitressing. Or selling things on Ebay. Or jumping out of cakes. Or being a sherpa. Things. Things, maybe, suggested in the help wanted ads on Craigslist. I repeat: per usual, I am thinking and caring about others. I absoultely did not go out and buy WHAT COLOR IS YOUR PARACHUTE. After all, there are many copies in the public library. I know, I digress, and here you are, still wondering: where was I in that momentous moment when I did not receive the call? After all, though it may come as a surprise to some since I hardly ever, ever mention it, this year I had a book out, too. I had a chance, a Wonka Bar waiting to be torn open. I was in the school library where I teach, and I must admit, I jumped a little when the phone rang, an unsuspecting Usborne representative confirming an appointment. But for the most part, while the trumpets were being sounded in Seattle, I was busy reading aloud from an old, out-of-print anthology to a group of third graders, a truly lovely story called "The Long Nosed Princess" by Priscilla Halloway. The pages had yellowing edges and loose threads dangled from the spine, but the words inside still were captivating, alive, unlost. I was busy explaining to children the concept of "yucky cover, yummy book." I leaned into this volume, the corners battered from years of backpack travel into frayed, greying curves, a book without pictures and missing letters on the spine. I modeled how to smell it. Book smells are very important. Can you smell the glue, the years of pages turning? As the children voraciously checked out titles that were no longer in catalogs or mentioned in newspapers or had a chance for awards or even had authors or illustrators who were alive, I still liked to imagine that in the spirit world somewhere, a telephone was ringing, with the announcement of every writer's coveted, and often unspoken, prize: longevity. Booklovers, booksharers, please know that you give that prize with every book you read, and recommend. Congratulations to the ALA winners, wonderful and deserving all. I envy you (hey, just a little) and admire you (a lot), and root for you as you represent our genre. Congratulations to the committees, mock and official, for working tirelessly to make good decisions and setting a bar that will bring out the best in all of us. Most of all, congratulations to everyone who put their heart into making a book this year. You may not have received a call, but if you could see a child reading what you have created, you would know that you answered one. OUR LIBRARIAN WON'T TELL US ANYTHING! by Toni Buzzeo, illustrated by Sachiko Yoshikawa (readily available through Upstart Books) Mrs. Skorupski comes off as less than helpful to Carmen, who visits the library looking for fast answers. New student Robert, though, has a little more patience for Mrs. Skorupski's approach. Give a man a fish, and he'll eat for a day, teach a man to fish, or to do research, and...! This book is a wonderfully contemporary tool for empowering kids to use resources, told with good cheer in the context of a realistic library success story for children 7 and up. Though the book is a treat, the library skill lessons included are worth the cost alone, a booklet full of fabulous projects, reproducibles, checklists, internet links and rubrics, all "teacher-ese" for must-have! I can't wait to try the claymation project suggested! Just as Toni Buzzeo did with her invaluable TERRIFIC CONNECTIONS WITH AUTHORS, ILLUSTRATORS AND STORYTELLERS: REAL SPACE AND VIRTUAL LINKS, considered by many to be the definitive guide to author visits, she has created yet another title that will breathe new life into library media centers. Also, check out her many popular picture books, including DAWDLE DUCKLING (3 and up)and THE SEA CHEST (6 and up), written with a panache and flow lent by someone who reeeeeallly knows what it means to read-aloud. Author Shannon Hale's Newbery phone call play-by-play! 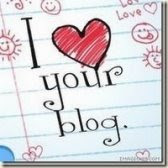 And a very fabulous mock round-up at the Year of Reading blogspot! At lunch, Hermoine Wong plunked down next to me. "How can you write a memoir?" she challenged me. "Nothing's happened to you yet." "A memoir is about feelings and memories and families and friends," I informed her. And it just so happens that I have them." One of the hardest parts of being a memoirist that I've found is that people grow and change over time, but when you trap someone is a book, they can't grow and change. They are frozen in whatever scene they have been drawn, as characters and not as people, and this is a hard fate for loved ones to bear (or even ones who are not so loved). This is the lesson learned from Rosy Cole's school of hard knocks. When given the school assignment to write about the most interesting person in her family, she is convinced to write about herself. Like any enthusiastic novice, she turns to a book for some help, specifically Write Your Life: A How-to Guide for Memoir. Through it, she learns to meditate, to usde her senses to inspire memory, and to use old photos to induce recall. She also learns what every successful memoir needs, among them: "talent, tears and turning points," "romantic relationships," and "confronting demons." SOme of these points are, indeed, a bit of a stretch for our heroine, and when she decides to host a memoir workshop for her classmates, tempers flare. Sort of a early-reader cousin to HARRIET THE SPY, Greenwald does a good job depicting the swinging moods, best laid plans and preteen girl provocations that are truly a plague. Best of all, there are some very interesting ideas to experiment with in a language arts classroom context. With all the journaling that goes on in schools and so precious little from which to draw, this title is an especially welcome addition. The big American Library Association awards will be announced tomorrow (1/22), including the Newbery for outstanding writing and the Caldecott for illustration. You can watch it on a live webcast, too! Go, Dianna Aston's AN EGG IS QUIET! Go, Elizabeth Winthrop's COUNTING ON GRACE! Go, everybody who published a book this year! I regret to report the very tragic passing of talented author/illustrator Harry Horse. Sincere sympathy to his friends, fans and family. RICKSHAW GIRL (FICTION) and TEACHER MAIL! "It won't be long before I'm a teacher now, and thinking like that is scary. I mean, pre-service classes can only prepare you so much and then all of a sudden you've got to fly on your own. I was really scared at first because I thought, 'I'll never be that awesome.' And then I continued reading and I thought, 'YOU CAN DO THAT KIND OF CREATIVE STUFF IN THE CLASSROOM!?!?!?' And the more and more I read, the more excited I got for my future. I have big plans. I always have, but after all of the paperwork and guidelines I have to follow in my classes, I forget that teachers can be imaginative and fun. Sometimes when I think about my first year teaching all I see are those signs you see when a place in a book is haunted: 'Turn back,' and 'I wouldn't go on if I were you.' I hear horror stories from seasoned teachers about how hard it is your first year and how especially [in city schools] you're in constant fear of losing your job. I worry about all this, but then when I'm in a classroom teaching, there is magic that happens. A connection with a student that melts my worries away. Someone tells me they wish I didn't have to leave. And then I'm determined again. If the students have confidence in me I should have confidence in myself." I think this a very important and provocative letter, not only for the high note of hope, but that such a note would rise and sing out amidst the cacophony of her candor. The author of this letter is far from alone; I frequently receive e-mails andsnail mail from teachers, pre-service teachers in particular, that speak of being discouraged before they even get out of the gate, of a lack of confidence...and also, as this educator describes, the renewed hope and vision that is granted through the experience of reading, garnered certainly not only through my books, but through many books. I am moved by this letter to offer a reminder to educators that a knowledge of children's literature, in combination with a mastery of classroom management techniques, are two of your most powerful tools. While many programs offer a lot of support for classroom management, few preparatory programs offer real training in children's literature, or offer one class as an elective. Such introductions are rarely sufficient. Entering a classroom without a firm groundwork of children's literature is like expecting a mechanic to work without a wrench, or a surgeon to work without a scalpel. The more that you know about what books are available, the more you are able to individualize instruction, reaching and teaching the children who need it the most. The more you are able to utlilize best practices, like read-aloud throughout the grade levels. The more you are able to integrate subjects, showing children the interconnectedness of all subjects and cultivating an attitude that school is relevant to the real world. And speaking of, you are able to cultivate interest, empathy, enthusiasm; elements of the kind of world we all want to live in. A knowledge of children's literature expands the map of where you can go with your class, far beyond the boundaries of tests, prescriptions and mandates, while still allowing you the confidence that your students will have the critical thinking skills to achieve at any task. In the midst of it all, a knowledge of children's literature prevents the notorious burn-out; your next lesson is as fresh as the next great book, and goodness knows we have no shortage of that! You need the best books, and the children deserve them, so if this knowledge is not handed to you, you are lucky...there are more places than ever to find what you need independently (the blogosphere being among them). "You can do that kind of creative stuff in the classroom?" Yes, you can! As I read this book over winter break, the shocking thought came over me like a slow-rising sun: "I can't wait to get back to school and read this aloud!" I actually went to the calendar and counted the days before I could introduce children 8 and up to the brave and resourceful (if sometimes impulsive) Naima. By painting delicate and award-winning alpana patterns on her Bangladeshi home for special celebrations, this little girl has brought pride to her family, but what she really longs to do is help her father earn money. Each passing day her friend Saleem passes in his rickshaw, and each passing day also distances her from him, Naima's role as a young woman in her village becoming more pronounced and more frustrating. 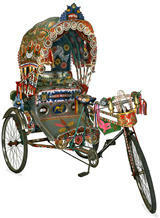 When she tries to maneuver her father's beautiful, newly-painted rickshaw, it appears she has brought rack and ruin to her family, possibly even causing her mother to sell a cherished bangle that has been passed down through generations. Dressed as a boy, she tries to create a new solution that will prevent further hardship, and in doing so is surprised to discover that new solutions are emerging, and from her own gender. This book is beautifully and universally written, playing skillfully on all children's desires to be helpful to their families, and their natural propencities to rally against the unjust. Though there is some regional vocabulary, the writing is so sparkling clear that it can be comprehended in context, though a partially illustrated glossary is also included. Terse pacingmakes for a perfectly cliffhanging read-aloud, and descriptive prowess brings every scene to life. Gracefully drawn charcoal spot illustrations that suggest the paper's texture are a perfect accent to the story. Use this realistic tale to springboard into discussions of whether boys and girls can really do the same things, and also as a way to introduce the very modern and important idea of microlending programs (a new economic model that earned Mohammed Yunus a recent Nobel Peace Prize), through which children will be delighted to discover they can make a huge difference in the world, even with a few coins. My own favorite microlending program is through Women for Women International, though many programs are available. 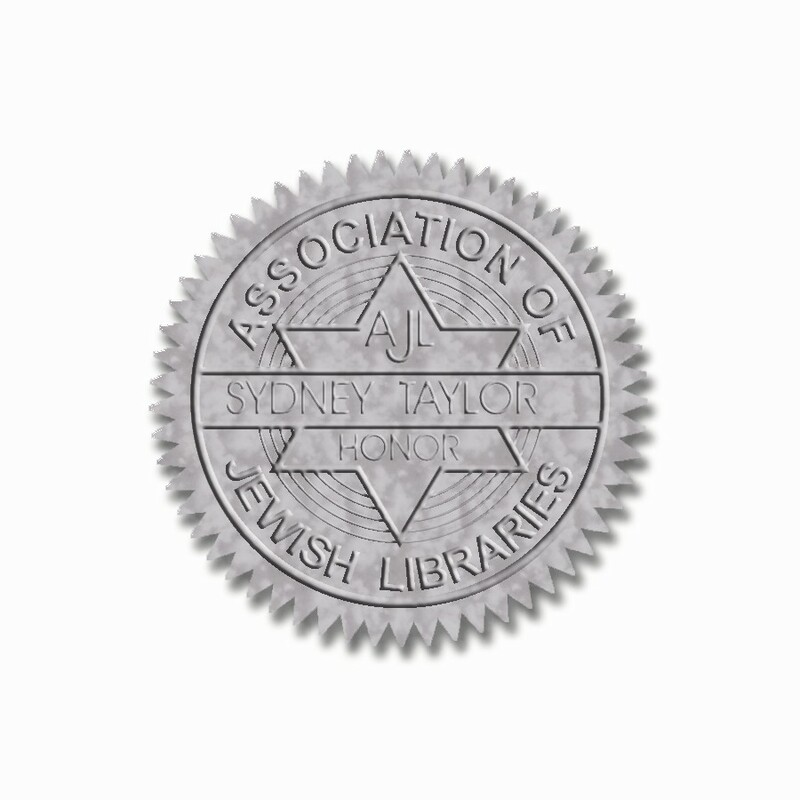 I have lovely news to share: my newest novel, VIVE LA PARIS, was the recipient of the silver medal of the Sydney Taylor Book Award, a commendation recognizing the best in Jewish children's literature, given by the Association of Jewish Libraries (AJL). 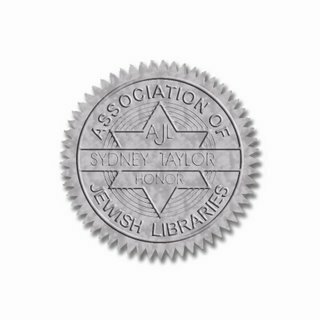 Medals are awarded annually for outstanding books that authentically portray the Jewish experience. The award was established in 1968, and was named in memory of Sydney Taylor, author of the classic ALL OF A KIND FAMILY series. The Sydney Taylor Book Award recognizes the best in Judaic children's literature each year, and I am especially pleased to be runner-up to a brilliant new author, friend and fellow Chicagoan, Brenda Ferber, for her book JULIA'S KITCHEN, an astounding story of healing after loss. Visit the AJL website to view all of the medalists and honor books, and the great company I am keeping! I am especially proud to receive an award carrying the name of the great Sydney Taylor, who wrote such brilliant and authentic realistic fiction. Most of all, I am so proud of the Association of Jewish Libraries who gave this award to my book. Though my protagonist, Paris McCray, is helped and changed by her Jewish piano teacher, Paris is African-American. In my mind, Paris is on a quest to learn how to be her brother's keeper, but it has been brought to my attention that by doing so, she is practicing the principles of tikkun olam, or trying to heal the world. I am proud of the AJL for celebrating my book even though its central character is not conventionally Jewish, and without any particular regard to my personal race or ethnic background. In time for the birthday of Martin Luther King, who preached that we should judge one another by the content of our character, I was overjoyed to have my book judged by its contents and its characters. THANK YOU, AJL! "My favorite chapter books when I was younger were by Carolyn Haywood--B IS FOR BETSY...they had families and ate dinner and waited for the bus. They were normal families without unicorns or fairy princesses, but the stories were magical to me. When I read those books, it was as if I was wrapped in a warm hug. I saw all the things that I loved and lived--my neighborhood, my friends, and my school. The only thing I didn't see was me." So writes Grace Lin, who deftly fills the need from her own childhood with these delicious navigations through daily life via a character that is her namesake. In her lucky birth year, Grace dreams of discovering what she is good at, while watching her friends realize their abilities through science fairs, school plays and costume contests. Not until Grace tries her hand at creating a book does she discover what her special gift might be. This book has many references to Chinese New Year in it, which means it would probably be very handy to also have a copy of the absolutely brilliant and unique author Demi's HAPPY NEW YEAR!/KUNG-H'SAI FA T'SAI! which is both the most informative and beautiful book I know on the holiday, showing what symbols mean, what food represents, and all the traditional activities and customs. Did you know Demi has been known to paint with a mouse's whisker? Ever notice how a whole classroom has a kind of personality, a whole-group dynamic with certain traits that vary from year to year? Or, how some superstitious teachers suggest that a great class will be followed by a tough one? I was very big into studying the Chinese zodiac for a while there, and so I created classroom horoscopes based on the Chinese zodiac to determine best teaching practices, based the dominant year of birth of the children. Check it out...was I on the mark for your classroom? For entertainment purposes only...no, I did not actually use this as the basis of my pedagogy, and sorry, you'll still have to do your lesson plans. A mysterious package arrives on New Year's Day, containing one penguin. The next day, a second penguin is delivered. The third day brings yet another black-and-white buddy, but this trend can't continue, can it? With the accumulation of Antarctic animals comes a series of problems to be solved, some mathematical (three digit addition, the budgeting of fish and the determination of proper amounts...if each penguin eats 2.5 pounds of fish a day, how many pounds will we need after the first three months of the year?) some logistical (how shall the penguins be organized? How shall they be cared for in the summer months? What to do about that penguin smell?) and some emotional (how does one share a shower with hundreds of penguins? "Once you reach the point of no return, one penguin more or more penguin less each day doesn't make much of a difference anymore. You live penguin. You think penguin. You dream penguin. You become penguin.") By the time we are truly and wholly feeling this family's penguin pain, though, the sender is revealed, along with his surprising and provocative plan to help wildlife through global warming. All's well, it seems, until the next New Year's Day when another package is left at the fanily doorstep. What could be inside this time?